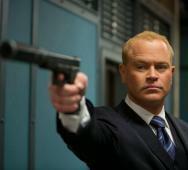 Neal McDonough has been officially announced to play Damien Darhk in CW’s Arrow Season 4. Damien Darhk will be the season’s main villain. Darhk is described as “a mysterious and sophisticated villain, and an adversary of the late Ra’s al Ghul. Now the leader of his own clandestine group, this cunning foe will prove to be one of the Arrow’s greatest challenges.” The Arrow returns Wednesday, October 7, 2015, at 8 pm. McDonough can act, and I cannot wait to see him on Season 4 of Arrow. 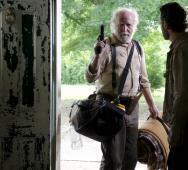 Scott Wilson has joined A&E’s Damien Season 1; news broke at the San Diego Comic-Con 2015. 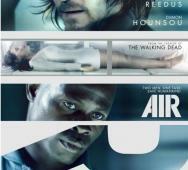 Executive producer Glen Mazzara declared that he would be working with a former “Walking Dead” star. Scott Wilson (aka Hershel Greene) then appeared on stage announcing himself as the latest Damien cast member. 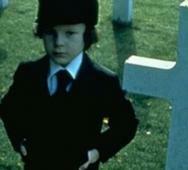 Damien news to some is the Damien TV series will be a direct sequel taking place 30 years after The Omen story. Damien will premiere in 2016, exact date yet to be announced. Mattel just unveiled their new toy lineup with zombie Hulk Hogan and zombie John Cena toys. The WWE Superstars have never been seen like this before, and I see every medium is embracing zombies. Hulk tears off his flesh instead of tearing off a tee shirt. John Cena has chunks of flesh ripped off. Check out the photo and tell us what you think of Mattel in the zombie trend. Paul Feig has released an official photo of the Ghostbusters (2016) cast. I guess this was to combat the unofficial photo circling the internet. 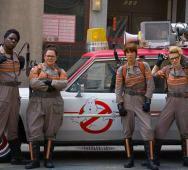 The photo features Melissa McCarthy, Leslie Jones, Kristen Wiig, and Kate McKinnon in full Ghostbusters uniform. Ghostbusters releases in movie theaters on July 22, 2016. Tell us what you think about this photo and the film in general in the comments below. 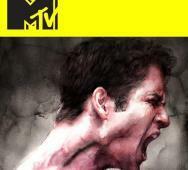 MTV officially confirmed that Teen Wolf Season 6 is happening at San Diego Comic-Con 2015. Announced at the panel Q&A session with Tyler Posey, Dylan O’Brien, Holland Roden, Shelley Hennig, Dylan Sprayberry, and Cody Christian with executive producer Jeff Davis. Awesome news for all you Teen Wolf fans out there. I, however, fell out somewhere during season 3 but will make a conscious effort to jump back into the werewolf TV series ASAP. Tell us what you think about Teen Wolf being renewed for a sixth season. 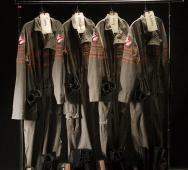 The female Ghostbusters are all in uniform and here is the first look. Melissa McCarthy, Kristen Wiig, Kate McKinnon and Leslie Jones are all shown. Paul Fieg‘s Ghostsbusters (2016) has gotten many reveals this week, but this is by far the best reveal yet. The only reveal left is to see is Chris Hemsworth as the secretary. Too bad we have to wait until July 22, 2015, to watch the film in movie theaters. 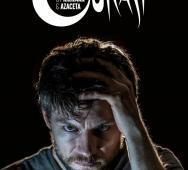 A&E’s Damien TV Series finally has released a trailer for the new horror TV series. This trailer bridges the past and the present with a recap of the events from The Omen movie and the new Damien Season 1. The trailer does not show too much of the “must see” elements, but hopefully they release that in the next trailer. Cast in A&E’s Damien Season 1 is Omid Abtahi, Megalyn Echikunwoke and Barbara Hershey. 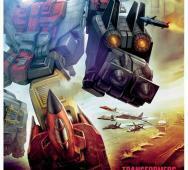 Thought some of you might be interested to learn that Hasbro and Machinima are developing a new Transformers Web-Series, titled Transformers: Combiner Wars, that will be geared to adult fans. More blood, guts and action is what was just translated there. The press release states that the transformers involved will combine into a much larger transformer like the Devastator and Superion. This is totally awesome because we already saw what Machinima did for Mortal Kombat and DC Comic’s Justice League via web episodes. Totally stoked to see the final product. We will post more details once they are released. Since you all loved the previous Killer Cats clip from Christopher Landon‘s Scout’s Guide to the Zombie Apocalypse (2015) we have 4 new clips for you. The first clip is titled Gearing Up. The second clip is titled Emergency Readiness. The third clip is titled Chase. The final clip is titled Build a Fire. Each of these clips is very funny and worth watching. Paramount Pictures is releasing Scout’s Guide to the Zombie Apocalypse on October 30, 2015. 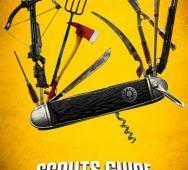 Scout’s Guide to the Zombie Apocalypse stars Halston Sage, Tye Sheridan and Patrick Schwarzenegger. 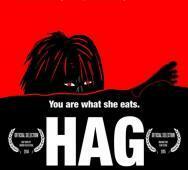 Erik Gardner is about to release his new horror short at the San Diego Comic-Con 2015 on July 10, 2015. He was ever so kind to release a trailer for that horror short and it is something terrifying. The trailer starts off with the dreaded “Inspired by True Events.” Really, you have to see this video. STX Entertainment has saved Jim Henson‘s The Happytime Murders and it is now actively back in development. Brian Henson (Jim Henson’s son) will direct The Happytime Murders. This film sounds great so what was the delay about? 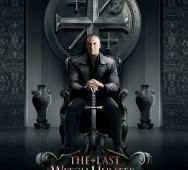 The delay was about finding a new lead actor causing the movie to slip into the abyss since about 2010. This film sounds like it will be great and I cannot wait to see it. Ryan Reynolds has really engrossed himself in the Deadpool character and I love it. 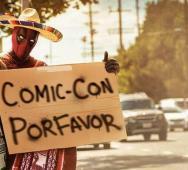 Gearing up for the San Diego Comic-Con 2015 (#SDCC), Deadpool needs a ride and has resorted to hitchhiking and hopefully someone will pick up the Merc with a Mouth. I have a really good feeling that Ryan Reynolds will show up as Deadpool at Comic-Con Saturday July 11, 2015, in full character. Deadpool (2016) releases in movie theaters February 12, 2015. Starring in Tim Miller‘s Deadpool are Ryan Reynolds, Morena Baccarin and Ed Skrein. Yes, there is a new Star Wars App released from Lucasfilm. There is a huge list of all the features that this one app can do below. The app is available now for iOS and Android devices. Disney looks like they learned a lot from the Marvel team up and want to kick off the Star Wars universe hard. 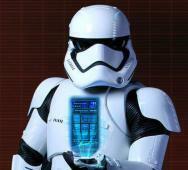 What do you think of the Star Wars app? Today we have the latest Rick Grimes (Andrew Lincoln) photo from AMC’s The Walking Dead Season 6. Season 6 of The Walking Dead premieres this upcoming October 2015. Rick Grimes cleaned up nicely with his rifle in hand. 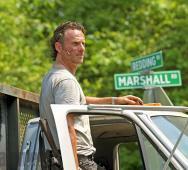 Expect more Walking Dead news as Comic-Con starts. Paul Fieg‘s Ghostbusters (2016) has finally released what the Ecto-1 looks like, and we also have the first image of Melissa MacCarthy in uniform from the Ghostbusters Reboot. The Ecto-1 has a ghost hood ornament that brings back some nice memories. The Ghostbusters uniform now has some orange added to it to break up the plain colors. The Ghostbusters Reboot releases in movie theaters on July 22, 2016. Also starring in Ghostbusters is Kristen Wiig, Kate McKinnon and Leslie Jones. 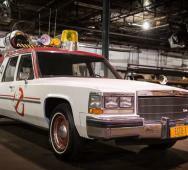 What do you think of the Ecto-1 and the new uniform? 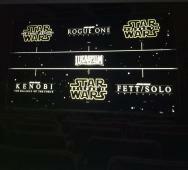 Lucasfilm’s Star Wars movie lineup has been leaked online right before the Comic-Con 2015. Major oops on someone part but a major win for the millions of fans out there. The Obi-Wan Kenobi solo film titled Kenobi: The Balance of the Force and the Fett/Solo Anthology are listed here. This could be a fake or this may be the real deal so take this photo with a grain of salt but nevertheless, get excited.